Three young Mossad agents find it’s harder than they thought to administer rough justice in John Madden’s (Shakespeare In Love) latest, a tense remake of a 2007 Israeli drama in which a plot to spirit a notorious war criminal out of 1960s East Berlin unravels disastrously. 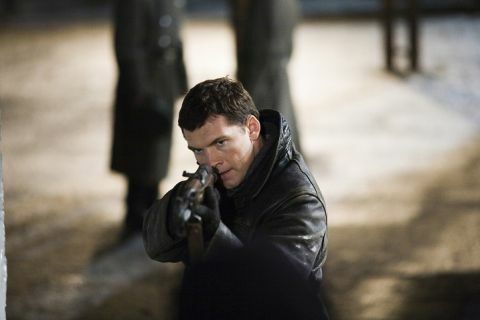 Sam Worthington, Jessica Chastain and Marton Csokas are the operatives left holding the Nazi in a film that, bar a rather preposterous last act, deftly interweaves old-school espionage with thoughtful ruminations on the high price of vengeance. Thirty years on from the above events, Rachel Singer (Helen Mirren) is feted for her role in the kidnapping and execution of the “Surgeon of Birkenau” Vogel (Jesper Christensen). But when the ramblings of an old man in the Ukraine conflict with the official version of events, the ageing Singer is reluctantly pressed back into service – a mission Madden juxtaposes with extended flashbacks revealing exactly what did happen three decades earlier. It is here that The Debt really pays off. One queasy sequence requires Chastain (as the young Rachel) to have her nethers probed by Christensen’s butcher turned gynaecologist as part of a ploy to take him unawares. Subsequent scenes with the latter turning the tables on his captors have a similarly unsettling vibe, the Eichmannesque Vogel shrewdly exploiting the sexual tension between Singer and her accomplices as they wait impatiently for orders. OK, so this is really just a big Jewish revenge fantasy that seems alarmingly superficial when set against Spielberg’s superior Munich. But as a thriller it grips like the proverbial vice, skilfully negotiating a succession of twists, turns and reversals against an expertly recreated Cold War setting. Performance-wise, The Debt predictably owes one to Dame Helen’s steely, driven portrayal. Yet it’s Chastain who leaves the most significant impression, not least when placing Christensen in a very compromising position.